Five years after looking dead and buried following the club slipping into administration for the second time in their history, Crystal Palace have completed an amazing turn around and are now looking to established themselves as a Premiership mainstay. 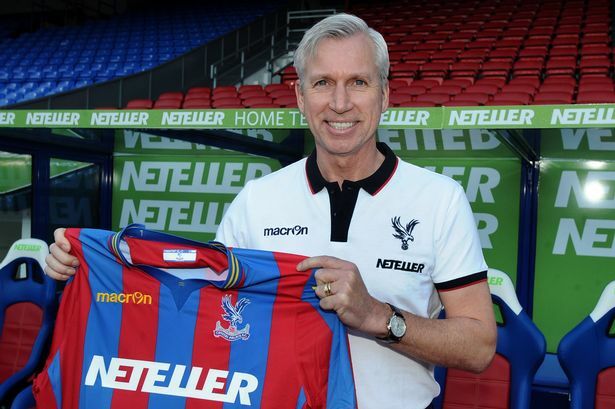 Under the management of Alan Pardew who returned to the club in January after four mixed years at Newcastle, Palace have been revitalized playing some of the most exciting attacking football in the Premiership in the second half of last season. Pardew has managed to arrange his team to be both functional and fluent with an eclectic mix of reliable no-nonsense players like Scott Dann and Mile Jedinak acting as the relief mechanism for more gifted yet unpredictable talents like Wilfried Zaha and the impressive Yannick Bolasie. Under his guidance, Palace secured ten wins from eighteen games finishing in tenth overall in the league. It was clear from the outset that Palace would want to build upon this success by acquiring some additional players over the summer but no-one expected their first signing to be that of French star Yohan Cabaye. The former Newcastle midfielder has become disillusioned at Paris Saint Germain after failing to secure a permanent spot in the first team and has been on the look out for a new club for a few months now. 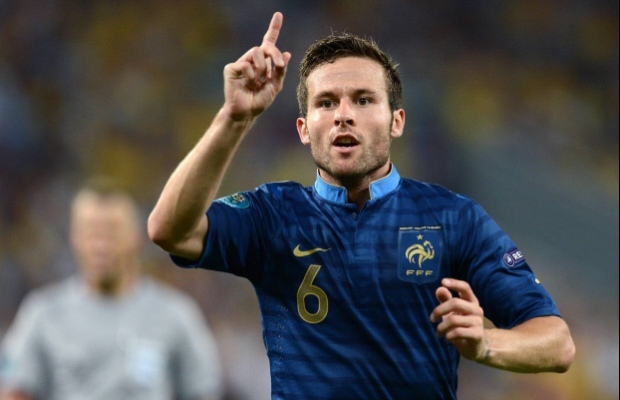 Speculation linked Cabaye with a move to Italy or Spain or even a return to England with Manchester United or Arsenal. But now it looks likely that Cabaye will be heading to London and surprisingly to the south of the city after PSG accepted a £10million bid from Crystal Palace. 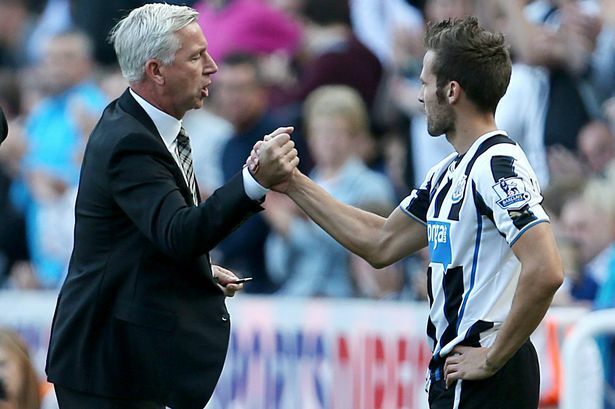 The move would see Cabaye linking up with his old boss Pardew who managed him during his time in the North East with Newcastle. The two have a strong bond and its believed that working with Pardew again was a decisive factor in Cabaye’s return to the Premiership instead of other options. The player has travelled to the English capital city to undergo a medical ahead of agreeing personal terms with Palace confident that there will be no late hiccups. If he does sign, it will be seen as a major coup by Palace despite them smashing their previous transfer record paid for a player (£7million for James McArthur last year). The signing of Cabaye indicates the faith that the Palace board has in Pardew and what he is hoping to achieve as he strives to take the club to the next level. At 29, Cabaye is entering the latter part of his career but is still very much a world-class player. He has been an ever-present member of the French national team since his debut in 2010 and played a key role for them at both Euro 2012 and at last summer World Cup in Brazil. With superb vision, strong ball control and proven technical ability, Cabaye is the model central midfielder and should fit neatly into Palace’s setup with ease. After making his name with Lille over a seven-year period, he was rewarded with a move to Newcastle who snapped him up for just over £4million. Over the next three seasons, Cabaye would build his legacy entrenching himself in the clubs history as a fan favourite. His exploits for the Geordies elevated his global reputation and found him linked constantly with big money moves away from the club to one Europe’s elite clubs. Newcastle did reject several advances from the likes of Arsenal, Juventus and Barcelona as they desperately tried to cling on to their star player. But when über rich PSG approached them offering in excess of £19 million, owner Mike Ashley decided to cash in on Cabaye in a move that Newcastle would regret in the months that followed. Cabaye’s failure to establish himself in Paris at the French champions is less a reflection on his own abilities and more an indication of how strong PSG’s midfield is at present with the likes of Javier Pastore, Lucas Moura, Blaise Matuidi, Marco Verratti and Thiago Motta all battling for two central midfield spots. A move to Palace will see Cabaye once again as one of the first names on the team sheet with Pardew likely to rebuild his side around the Frenchman. His signing could be the catalyst Palace needs to kick on with other top players across Europe likely to take note of Cabaye’s decision to join a club few would have previously considered. What is most surprising about this transfer is the relatively low fee paid for a player of Cabaye’s quality especially against the backdrop of a potential £50 million outlay Manchester City are willing to pay for Raheem Sterling or the £27 million rumoured move of Morgan Schneiderlin to Manchester United. Both clubs need a strong central midfielder of the same ilk of Cabaye so their failure to submit a rival bid may be a defining moment in their summers. Even Cabaye’s former club Newcastle who are in desperate need of an overhaul failed to make a move in time for Cabaye despite rumoured interest from both sides to make it happen. Like City and United, Newcastle could live to regret that decision once more when Palace face them in late November with Cabaye deep at the heart of their team.